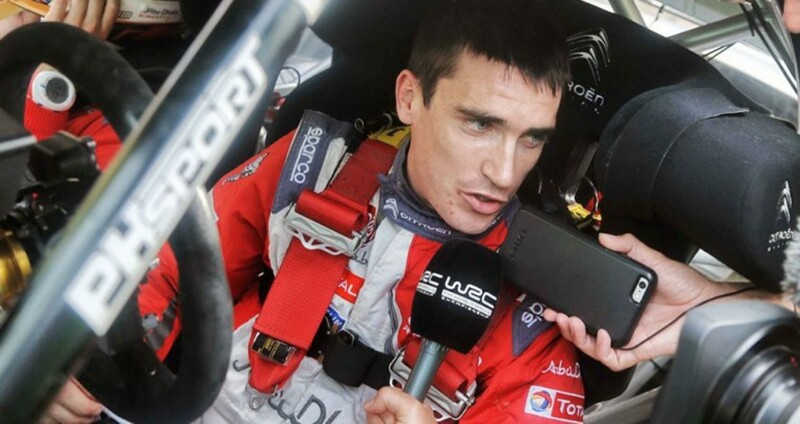 Does Craig Breen Have A Point? If you’ve been using WRC All Live to keep an eye on the season finale in Australia, you’ve no doubt caught some of the banter between Craig Breen and stage-end reporter Colin Clark. It actually goes back to a few weeks ago during Rally Catalunya. On that occasion, Craig called out Colin for “having a go at him” after Colin pointed out that he was well down on the times. Fast-forward to this weekend, and the back-and-forth between Craig and Colin seems to have carried over. Once again, on Friday, things got a bit testy between the two, and even though Craig made an attempt to smooth things over later in the day, he definitely expressed his displeasure with how the stage end interviews were being conducted. How do you see this one? Does Craig have a point, or is he being a bit too sensitive? At the end of the day, Colin has a job to do, and as the reporter, he is only telling the story that has unfolded over the course of the stage. His making an observation about a driver being down on the times is hardly an inflammatory or personal attack. However, what I think justifies Craig’s reaction is the fact that over the course of the season, the stage-end interviews have become quite stale. How many times have we heard the same question posed over and over again? It usually goes something along the lines of, “So, you’re (x) seconds off the pace of the leader, what are you going to do about it?” If you had to answer that same question or some slight variant 10-20 times over the course of a weekend, wouldn’t you get a bit snippy too? Colin Clark has nothing to apologize for because he’s doing his job, but I don’t think Craig Breen has anything to apologize for either. In my mind, he has a right to be a little annoyed especially when he’s just given everything he has to give on a rally stage. To have all that effort and passion seemingly minimized by a reporter rightfully strikes a nerve. Craig Breen wasn’t the only one to make a point about this. This weekend, Ott Tanak also expressed his annoyance with the stage end interviews. In his words, “It is becoming a bit boring” being forced to answer the same question over and over again at the end of each stage. In this case, it seemed like the interviewers were trying their hardest to make it seem like Tanak was still in the thick of the driver’s championship fight. It definitely reeked of trying to drum up some added drama that wasn’t really there. Ott saw right through this and made it clear that he was just going to drive as fast as he could without thinking about anything else. He had clearly had enough of the repetitive nature of the interviews. The WRC is lucky that he was just a bit more polite than NASCAR driver, Tony Stewart was in this interview a few years ago. So what’s the solution? I know that it’s all too easy to sit on the other side of a keyboard and computer screen and be unreasonably critical and nit-picky of the WRC broadcast team. That’s not what I’m trying to do. We must remember that what they have accomplished this year with the debut of WRC All Live is nothing short of remarkable. Even 5 years ago, I don’t think anyone could imagine an entire WRC rally being broadcast live from start to finish. The challenges of not only figuring out the technical logistics, but also producing enough unique content to fill 3 full days of non-stop broadcasting is absolutely massive. As a whole, the WRC broadcast team has risen to this challenge and delivered an amazing product. Let’s not forget this. However, as this season comes to a close I think that WRC TV should look at the stage end interviews as an opportunity for improvement heading into 2019. Now that we’re seeing the drivers after every single stage, the presenters and reporters are going to have to get more creative when it comes to interview content. Maybe instead of hammering on the drivers about their stage times over and over, the stage finishes can present an opportunity to mix it up a bit. Perhaps on the last stage in a loop before service, the drivers could be asked about what’s coming up for lunch. Or maybe on the odd interview, they could ask who’s picking out the music for the road section and what’s being played. I’m not saying that the reporters should be lobbing softball questions at the drivers all the time, but a fun question here or there might cut the tension and lighten the mood a bit at the end of a stage. It will also allow the drivers to break out of “robot mode” and maybe show a bit more of their personality. I’m not saying that the interviewers aren’t doing a good job, but now that we are hearing from the drivers so many times over the course of a weekend, there is an opportunity to add some variety moving forwards. What do you think? Are you getting a bit tired of the monotonous stage end interviews like the drivers are? Is it time to shake things up a bit? Share your thoughts! Next story Is There A Silver Lining?